The Tanzanian landscape focuses on the child wellbeing indicators in education, health, nutrition and HIV & AIDS; as well as community livelihood's and resilience in matters of food security, water and sanitation, economic development, peace-building and disaster mitigation. Tanzania is a democratic republic on the coast of East Africa with a population of 53.5 million people. The country’s political stability, sound macroeconomic management, and natural resources all contribute to its potential for sustained growth. While Tanzania’s economy has steadily grown over the past decade, these changes have been hardly felt among rural, agriculture-dependent populations, while over one third of Tanzania’s overall population continues to live in poverty. Malnutrition remains high, with stunting rates among children under five at over 34 percent, maternal anemia at 45 percent and two-thirds of children suffer two or more severe deprivations. Despite these challenges, the agriculture sector - which contributes nearly one-third of GDP and employs 75 percent of the population - holds the potential to increase incomes and improve livelihoods. Ethnic groups: Tanzania has over 120 Ethnic groups. Languages: Swahili and English are official languages. 120+ different languages are spoken in Tanzania. World Vision (WV) is a Christian humanitarian organization dedicated to working with children and their communities to reach their full potential by tackling the causes of poverty and injustice. World Vision Tanzania (WVT) (www.wvi.org/tanzania) started in 1981 and reaches 5.5 million and 9.5 million children directly and indirectly, respectively, annually, in 13 of 30 regions. WVT has more than 500 development professionals operating in more than 50 field offices supporting its humanitarian and long-term development programs in livelihoods, health, nutrition, water, sanitation, and hygiene (WASH), and education, and advocacy. Additionally, WVT invests its private funds into integrated programs, adding value to its grants. By 2020 WVT will be contributing to the measurable improvement in the sustained well-being of 5.5 million children directly and 9.5 million indirectly – especially the most vulnerable. WVT focuses on Livelihood, Health, Nutrition and WASH and Education, with Livelihood being the primary sector. Spiritual Development and Protection of Children are cross-cutting functions. Set a strategic vision for the office and lead, develop and direct the implementation of all aspects of World Vision Tanzania Ministry as an effective member of the Partnership in line with ‘Twin Citizenship’ principles to ensure solid ministry quality and high impact in the field; be accountable for all aspects of WV’s work in the country. Ensure that WV’s ministry directly aligns with LEAP 3 principles and contributes at scale to the sustained well-being of children and the fulfilment of their rights within families and communities. Have a strong external orientation and represent WV with all donors, project partners, WV Partnership Offices and divisions, local government, church representatives and non- governmental organizations, serving according to the Power of Attorney given by the Global Center. 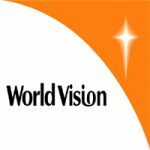 Ensure alignment with Vision Fund Tanzania (VFT), World Vision’s MFI arm, through participation in Vision Fund’s Board as Chair of the Board and other Governance structures, and provide appropriate collegial support to MFI Executive Director. Ensure alignment with GAFCo (Great Africa Food Company) a social impact farming company whose investors are also WV donors. Provide leadership for the 3-in-1 strategy (3 organizations WVT, VFT and GAFCo working together for one common purpose) which is to organize smallholder farmers, provide them access to farming credit and insurance products, supply improved crop inputs, provide extension services, post-handling/storage and linkages to markets. Participate as an observer/advisor to the GAFCo Board. Appropriately develop national governance through identifying national lay leaders for board membership and leading organizational transition. Maintain a strong growth with quality mentality and lead the office to leverage its private resources portfolio to ensure growth in the area of grants. Provide leadership, strategic direction and support in the development and implementation of an effective Resource Development Strategy. Ensure people issues are front and centre, promoting an office that embraces diversity, interfaith collaboration, gender balance and engagement with all Partnership staff. Ensure that the office has a strong and integrated Faith and Development strategy that includes staff nurture, integration of program approaches such as Covenant with umbrella church bodies, Celebrating Families, FBFs, etc. Model a high standard of personal Christian leadership, ministry and integrity though lifestyle and work relationships, and provide spiritual guidance to staff on the Vision, Mission and WV Core Values. Ensure that office leadership is capable to work in interfaith contexts and is familiar with World Vision’s commitments. Participate and lead regular devotional meetings. Ensure high quality ministry approaches that align with LEAP 3 principles and ensure best practice development work at scale. Ensure strong ability to measure CWB outcomes and maintain a green rating on the CWB report each year. Ensure strong engagement in resource mobilization, including positioning and support to grant acquisition efforts to raise additional resources and diversify WV Tanzania’s portfolio. Ensure the highest standards of quality and accountability through compliance with World Vision policies and standards and international standards for emergency response, disaster mitigation, rehabilitation and development. Ensure all project proposals, reports, integrated audits and ministry evaluations are reviewed at a proper level within the office and appropriate actions are implemented, to ensure impact, accountability and compliance. Ensure that a strong national Monitoring & Evaluation strategy is in place and that M&E systems are streamlined to reduce processes and focus on child well-being. Ensure accountability for the implementation of effective ministry to all key stakeholders. Ensure a relevant, timely and accurate flow of management and operational reports according to program objectives and standards and to meet reporting requirements from donors, Regional Offices, local partners. Ensure there is a documented office strategy, Ministry strategies and operating plans, and the latter have been derived from the office strategy and has clear, measurable short-term and long-term targets. Ensure that Ministry strategies are aligned with Regional and Partnership strategic priorities. Ensure there are clear strategies for People and Culture, Communications and other main functions, and they are based on the office strategy and operational plan and include main priority areas identified in respective Regional and Partnership Strategies. Facilitate and be accountable for the execution and monitoring of strategies. Promote WV’s Vision, Mission, Core Values and key Partnership Standards and Practices among the staff and partners and ensure these are the core foundation of WV Tanzania strategies and work. Lead SLT and ensure diverse representation on the leadership team. Strong focus on leadership and people management, ensuring the most capable and qualified staff members are in place to implement office strategy and operational plans. Lead processes to develop national office governance from advisory status to governing board. Lead processes to transition the office to fully interdependent status. Review and approve WV Tanzania’s succession plan. Ensure that proper capacity is in place and succession plans are updated and executed. Promote and participate in leadership development initiatives, including those for staff at management levels in the field and at the NO level. Lead and manage WVT’s team in a way that facilitates a high performance culture, open trustworthy relationships and integrity. Promote a culture of learning and development, employee engagement and good stewardship of human capital in the office. Ensure implementation and compliance to Partnership Performance Management Standards and Principles, while seeking to implement Performance Management guidelines on reasonable level; Champion WVT’s leadership team in the proper implementation of Performance Evaluations on a mid –term and annual basis for the whole organization. Support initiatives for staff care and well-being, both for international and local employees. Ensure excellent standards in the management of the human, financial, capital and technical resources of the organization, which includes inspiring and maintaining high standards of work and clear accountability to stakeholders. Set up and regularly update the NO enterprise risk management (ERM) framework to identify, manage and report on key risks. Visit field projects frequently to encourage, build relationships and support WV programs. Ensure that initiatives directed to build capacity required to implement local fundraising are included in the office capacity-building plan. Represent WVT and engage and build strategic alliances with the government of the country, WVT board, major donor agencies, WV Partnership, non-governmental agencies, churches and media. Develop and implement appropriate advocacy strategies to raise awareness of- and advocate for change in- key issues within Tanzania that relate to CWB. Lead and facilitate strategies for the promotion of justice that look for the change of unfair structures that oppress those in need. Ensure WV is positioned as a leading NGO in promoting the well-being and rights of children within the country context to develop public and stakeholders’ confidence and trust. Strengthen awareness of World Vision’s program both within and outside of the WV Partnership. Ensure that the WV brand is respected within the country and that all vehicles and facilities are properly branded with standard WV branding. Provide leadership, strategic direction and support to the team for developing and implementing a strong donor experience and acquisition of ministry funds. Identify new opportunities and forge alliances that lead to optimization of all resources. Ensure efficient and effective organizational practices that result in successful financial and operational audit scores. Ensure action planning and execution to resolve audit findings in an agreed and timely manner. Undertake appropriate reporting of audit results and actions. Oversee and ensure strong engagement of leadership in monthly FFRs and ensure rapid action on issues raised. Ensure strong financial compliance through timeliness and completeness of financial reports. Ensure strong operational compliance through timeliness and completeness of program/project reports. Provide direction for integrating private and public funds to maximize results and respond to community needs in most effective and efficient way. Manage overall financial integrity of the program to WV Support Offices donors, the government and other stakeholders. Provide overall strategic leadership and initiative for identifying and securing financial resources to support the program. Develop and maintain capacity to respond to natural and man-made emergencies. Review security and safety plans and protocols (security manual, evacuation plan, Disaster Preparedness Plan, and risk assessments at national Regional and Cluster Office levels) and ensure understanding and compliance by all staff and visitors. Oversee relief efforts, as and when they arise and work in partnership with response teams. Build in-country relief response capacity to ensure adequate disaster management and response. Liaise with other international organizations to collect information about the security environment and, where appropriate, discuss joint responses to security threats. Ensure the office complies with local labour law requirements and standards. Maintain an external legal counsel that can support WV leadership when required. Ensure and oversee proper mechanisms for Child Protection and other WVI standards and principles implementation. Ensure that the entity functions in a complementary, cohesive manner where principles of interdependence and twin citizenship guide the contribution made to the Partnership and the use of WV Partnership resources. Explore opportunities and facilitate Resource Development business planning. Align with regional GAM team objectives. Develop and implement an effective National Resource Development strategy and implementation plan to generate funds locally. Execute plan to generate funds from a variety of donors. Implement long term and short term programs that create new opportunities for acquisition, retention and transformation of a diverse set of private donors. Ensure strong external engagement and visibility of WV Tanzania to help promote its work to key donors and acquire greater levels of resource for ministry from a diverse set of donors. Ensure strong grants management to create trust and engagement with the donor for accessing future resources and increased credibility. As Chair of the VISION FUND TANZANIA (VFT) MICROFINANCE BANK board, ensure that VFT’s micro-finance ministry is integrated with World Vision’s ministry to promote fullness of life for children and their communities. As board observer/advisor for the Great African Food Company (GAFCo), ensure the integrated strategy for 3-in-1 (WVT, VFT and GAFCo) strategy to connect smallholder farmers to markets empowers parent’s and caregivers to provide well for their children. Facilitate programmatic integration of WVT, VFT and GAFCo in APs/ADPs operations. Strong expertise in grant acquisition and management. Manage a budget of almost $40m (Level III position - $41 – 100 million). Experience in technical programming in at least one of the major ministry components. (Relief, Development or Advocacy), close familiarity with the other two. Knowledge of LEAP 3 processes and Transformational Development preferred. Experience and/or understanding of advocacy execution, national advocacy strategy development and leading advocacy efforts as a pillar of a theory of change. Experience working in African contexts. Understanding of political, socio-economic, and cultural contexts within the country achieved within 3 months after assuming the role. Experience and/or understanding of working in a large and complex organization with a matrix management structure. Experience leading diverse executive teams. Experience with boards or advisory councils. Ability to present persuasively to a board, Senior Management Team, staff, donors, NGOs, government officials, community leaders and other stakeholders. 10 years relevant experience in international relief and development, with progressively more complex and higher level leadership roles. Training in NGO leadership and experience in leading diverse teams that include national and international staff. Experience with integrated community development programming, with a diverse knowledge of technical program areas where WV focuses (education, health/nutrition, livelihood/resilience, micro-finance, child protection, etc). Experience managing large and complex operations. Experience in emergency/refugee contexts. Excellent grant acquisition experience, including experience with a diverse set of donors, as well as a strong ability to partner and position for complex grants. Experience in leading local fundraising, including management responsibilities preferably over the areas of fundraising with major private donors and Governments. Experience in Microfinance operations is an advantage. Significant management experience (general/operational) where there is evidence of both accountability and managerial know-how, and high quality delivery of results. Strong ability to engage externally with donors, partners and other stakeholders. Evidence of building coalitions and engaging externally to influence policy and strategic directions. Fluency in English/strong written and spoken English language skills and ability to communicate the Mission and Vision of the organization well. Experience with World Vision desirable. Must exhibit composure and professionalism. Able to represent World Vision to government officials, donors and other external stakeholders in a professional and self-assured manner. Have worked in Africa and understand the context and cultures of the continent. Able to interact with a variety of individuals and ethnic groups. Strong developer of teams and ability to embrace leadership principles and promote staff engagement and well-being. Model Christian commitment and integrity while embracing denominational diversity and demonstrating an ability to engage in an interfaith context. Strong moral values and convictions. Personal life which is exemplary. Travel: 25% domestic with occasional international travel required.